This week 13 Indian startups received funding, of which 12 received a total sum of about $466 million. Among them, Ola raised the highest funding of about $300 million followed by PhonePe which raised about $107.6 million. Meanwhile, funding for 1 of the total funded startups remained undisclosed. BeatO: Delhi based healthcare equipment maker BeatO has raised a pre-Series A round from one new and two existing backers. The funding round of $1.6 million was led by Orios Venture Partners. Healofy: Parenting startup Healofy has raised around $10 million in its Series A round. Baby Tree- a Beijing based parenting platform has led the round with participation of Omidyar Network, BAce Capital and the founder of eBay. Halaplay: Daily fantasy sports (DFS) startup Halaplay has picked up $5.8 million series A round led by Nazara Technologies and casino gaming company Delta Corp.
Ola: After rounds of investment talks, the ride-hailing major Ola has finally announced raising $300 million funding led by Hyundai Motor and Kia Motors. DeHaat: Digital marketplace for farm services and products – DeHaat – has bagged a $4.3 million worth round with Omnivore Ventures as the lead investor. PhonePe: Flipkart owned online payment company PhonePe has raised $107.6 million from its Singapore-based parent entity. Byju’s: Edtech firm Byju’s has raised another $31 million from General Atlantic and Tencent at a valuation of over $5 billion. MayFair: Gurugram-based lifestyle and apparel e-commerce brand MayFair has raised $3.2 Mn in a seed funding round from Nexus Venture Partners and CDH Investments. 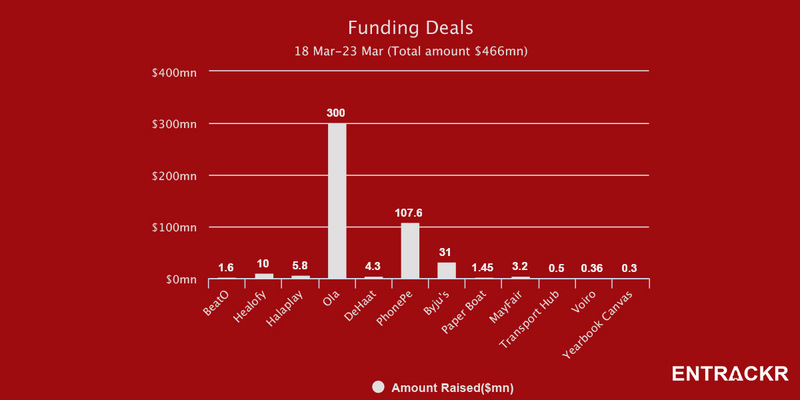 Transport Hub: Logistics platform Transport Hub has raised $0.50 million from HNIs. 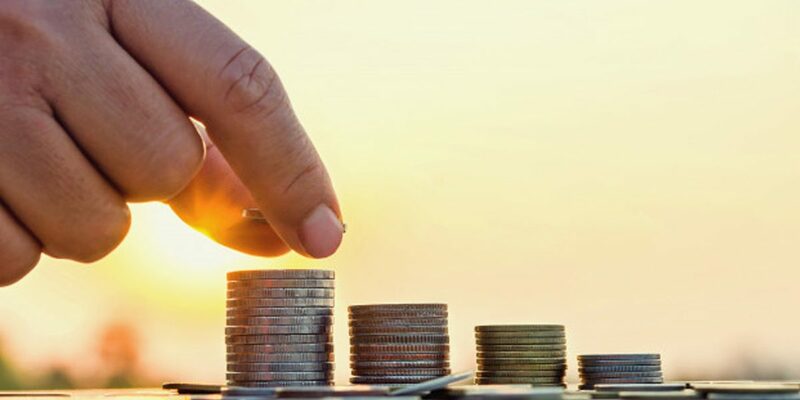 Voiro: Bengaluru-based revenue management startup Voiro has raised $0.36 million in a pre-Series A funding round led by early-stage investment fund 1Crowd and its investor community. Yearbook Canvas: Early-stage startup providing a self-publishing platform for college and university students, Yearbook Canvas has raised $0.3 million in a round led by Scale Ventures. Cryptocurrency exchange aggregator CoinDCX did not disclose its financial details on funding.